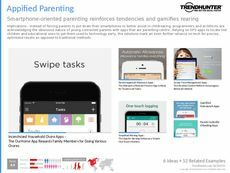 Find Better Ideas, Faster ® with a custom maternal marketing trend report, our PRO Dashboard and 80+ categories of premium trend reports. 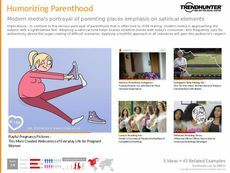 The Maternal Marketing Trend Report investigates recent examples of advertisements and campaigns aimed at new mothers. These trends range from the heartfelt and sentimental to the humorous and controversial -- highlighting the varying personalities and attitudes of female consumers. Rather than targeting mothers as a homogeneous group, brands and marketers have realized that individuals have different parenting styles, social and economic statuses, which ultimately alter their marketing techniques. This report will provide you with the most relevant and noteworthy campaigns in maternal marketing. This report targets marketers, advertisers and brand managers who wish to access a curated list of maternal marketing trends. Furthermore, retail executives and health and wellness professionals can utilize this report to see how competing brands in their industry strategically target mothers, and how these tactics can be replicated. The Maternal Marketing Trend Report is a collection of the latest examples in this field, but more importantly, is packed with valuable consumer insight regarding the shifting expectations and desires of mothers.